In a previous SEJ article, I wrote about the fundamentals of Reddit marketing. 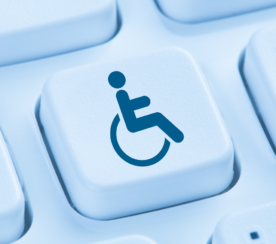 In this post, I give you ten real-world examples of companies succeeding on Reddit. After traveling for years together, Mike and his wife Aileen had a dream to create their own resort in an exotic location. During a visit to Oaxaca, Mexico, they knew they had found their spot. Two and a half years later, their dream became a reality and they opened Gecko Rock Resort. Interestingly, Mike took to Reddit to market the resort and land some of their first customers. Focusing on their story of building the resort from the ground up was a great choice for this AMA. Building a resort from scratch is an impressive accomplishment that Redditors value. If Mike had left this out of the AMA, it would have largely been ignored. This AMA led to multiple Redditors booking stays at the Gecko Rock Resort. One Redditor ended up posting this amazing review to Reddit. This s the “snowball” effect that can happen when you focus on contributing value with your Reddit engagements. A Beard Shop did such a great job with this post that it was tagged as a “Quality Post” and was listed in the sidebar of the subReddit under the “Bearding Guides” section. This post establishes A Beard Shop as a contributor to the community and will go a long way as they continue to engage one of the largest beard communities online. The title was simple and relatable (almost every Redditor was sitting in a chair when they read the ad). The body text of the ad gave detailed information about Haworth chairs including company principles, pricing, photos, and warranty information. The Haworth sales representative did an amazing job in the comments section. She provided detailed responses to as many comments as possible and engaged users on a personal level. The post pictured above is one of many examples of the Los Angeles Fire Department (LAFD) successfully engaging the /r/LosAngeles subReddit. In this particular message, the LAFD asks citizens to be responsible and safe on a night that historically produces many accidents, injuries, and deaths. The post was highly upvoted and is currently the third most upvoted submission this past year in the Los Angeles subReddit. The post also generated a healthy discussion of almost 150 comments. Considering the LAFD paid no money to reach this audience, I consider this a huge success that other government agencies and social organizations could replicate. Speaking of fire departments, Charmin engaged the entire Reddit community with an Ad promoting their campaign to donate toilet paper to firehouses across America. This ad was a successful, generating over 300 comments and nominees for their charitable campaign. Charmin also included a link to a $1 off coupon, which allowed them to drive traffic to the campaign website. This AMA from Ryan Morrison, aka “VideoGameAttorney”, received 1,600 comments and a score of over 4,400 (91% upvoted). This AMA was successful because Ryan has a track record of helping other Redditors with legal questions. This track record gave him the leeway needed to do an AMA that was self-promotional. Ryan Morrison’s AMA highlights the importance of giving first on Reddit. This AMA from a Lawyer at EarthJustice helped build awareness for a recent victory in their non-profit environmental efforts. Their AMA made it to the front page, received over 1,500 comments, and had a score of almost 6,000 (95% upvoted). Between this example and Ryan Morrison’s AMA, it is clear that AMAs can generate powerful results if executed correctly. One thing I really liked about this AMA is it focused on a specific topic. Keeping an AMA focused allows for deeper conversations. 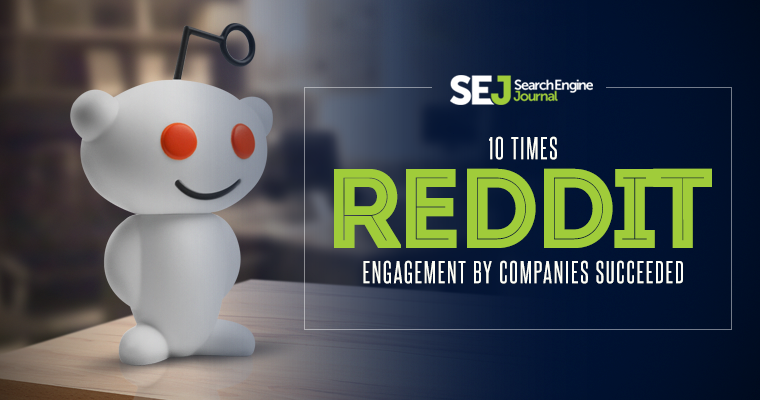 Executing a one-off engagement with Reddit can be great for your brand, but consistent engagement over time is also a great way to succeed on Reddit. GoPro has had success with consistent engagement by being actively involved in their official subReddit, /r/GoPro. This effort is led by Jim Geduldick, a marketing manager for GoPro. You can see an overview of Jim’s engagement on Reddit here. He primarily uses Reddit to announce things to the community, listen to GoPro fans and critics, support users who have a problem or questions, and respond to inaccurate information about GoPro. This type of engagement is not likely to produce a single, definable result, but it is a simple way for a marketing team to stay on top of what their most enthusiastic customers are saying on a day-to-day basis. GoPro’s marketing manager sets the record straight about their design process. /r/Cigars, a community of ~30,000 subscribers is one of the most tight-knit communities on Reddit. Every month, subscribers pair up with each other and trade cigars, coffee, beer, and other luxury consumables with each other. They even have a verification system for vetting new subscribers and preventing fraud. When they aren’t trading, they are sharing information about cigars and their own experiences with cigars. For an online cigar store, this community is a gold mine of information and cigar enthusiasts. One e-commerce merchant, /u/MrSmallBatch of Small Batch Cigars, has managed to become a true member of this community through his consistent and valuable engagements. Over the past year, MrSmallBatch has commented on posts, posted images of his own cigars, asked thoughtful questions, and run multiple contests giving away cigars for free. He even created a product on this website specifically for the /r/Cigars community called the “Reddit Sampler”. The Reddit Sampler is linked in the sidebar of the subReddit and is constantly mentioned to new users who are looking for recommendations on what to buy. Of course, none of this would work if MrSmallBatch sold a poor product. E-commerce is largely about customer service and MrSmallBatch receives praise from users on a weekly basis for the way he cares for each customer. I would argue that being a part of the /r/Cigars community forces MrSmallBatch to provide top-notch customer service, otherwise he would be ostracized from the community. MrSmallBatch shares an exclusive offer from his website with the /r/Cigars community. This simple post to a local subReddit is a great example of how to ask for feedback on Reddit. The post led to over 50 comments, many of which provided thoughtful and constructive feedback on how Arcadia can better serve their customers. A successful Reddit marketing strategy starts with learning the fundamentals of Reddit marketing and truly becoming a Redditor. With the fundamentals in place, any company can look to the examples featured above as a blueprint for getting results from Reddit engagements. 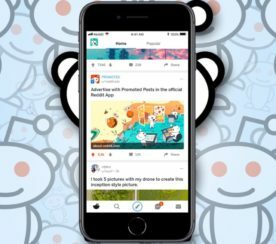 Have you seen a company successfully engage Reddit? Share it in the comments! All screenshots by David DiGiovanni. Taken October 2015.